Click the chart for more info on IBM shares. Tech giant IBM posted third-quarter earnings Tuesday in line with expectations, though shares sunk in after-hours trading as the company reported a dip in sales. The Armonk, N.Y.-based firm's revenue slipped 5.4% versus a year ago, coming in at $24.75 billion. Earnings per share, excluding special items, were $3.62. Analysts surveyed by Thomson Reuters had predicted IBM (IBM) would report earnings of $3.61 a share on $25.4 billion in revenue. Shares, which have recently been trading near an all-time high, slipped 3.5% after-hours Tuesday. The so-called Big Blue appears to be feeling the slowdown in Europe, with revenues for that region down 9% versus last year. Sales in the Americas fell 4%, while Asia revenue rose 1%. 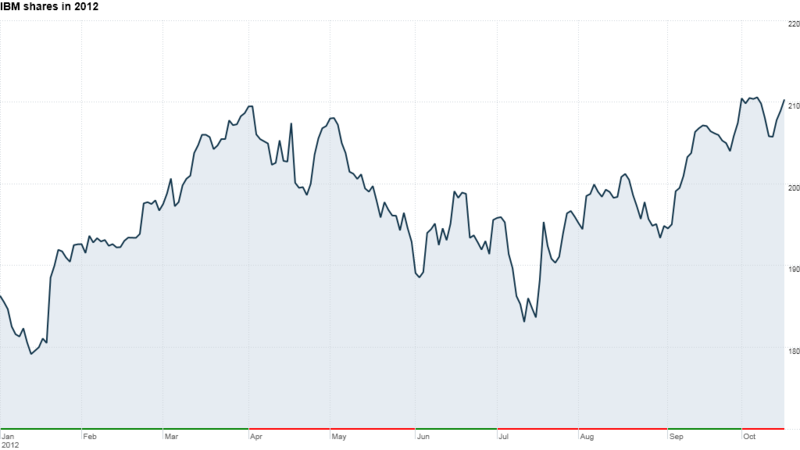 IBM shares have risen steadily over the past few years and are up about 15% in 2012, outpacing rivals Cisco (CSCO), which is up 4%, and Hewlett-Packard (HPQ), down 43%. Fellow tech heavyweight Oracle (ORCL) is up 24%. 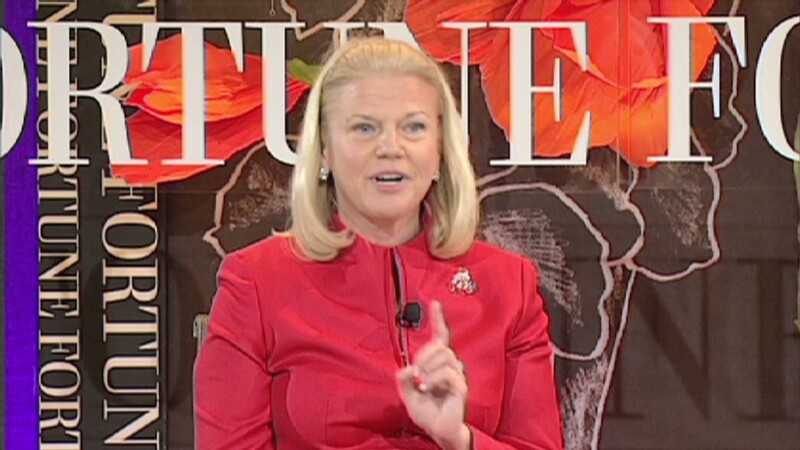 IBM president and CEO Ginni Rometty, who took over as chair of the firm's board earlier this month, said the company sees "good opportunity with a strong product lineup" heading into the fourth quarter. The firm reiterated its 2012 earnings-per-share guidance of at least $15.10.